Home > About whales & dolphins > How do dolphins sleep? Dolphins sleep in a very different way to the way we humans do. Humans have prolonged periods of unconscious sleep and we are not aware of our surroundings for periods of time while sleeping. Humans have a breathing reflex and when we sleep or become unconscious, we continue to breathe automatically. Dolphins cannot sleep in this way; they have to remain conscious, even when they are sleeping. This is because their breathing is not automatic, it is consciously controlled. In other words dolphins have to actively decide when to breathe, and so they must be continually conscious to breathe. If like us, dolphins went into a deep unconscious sleep, they would stop breathing and suffocate or drown. 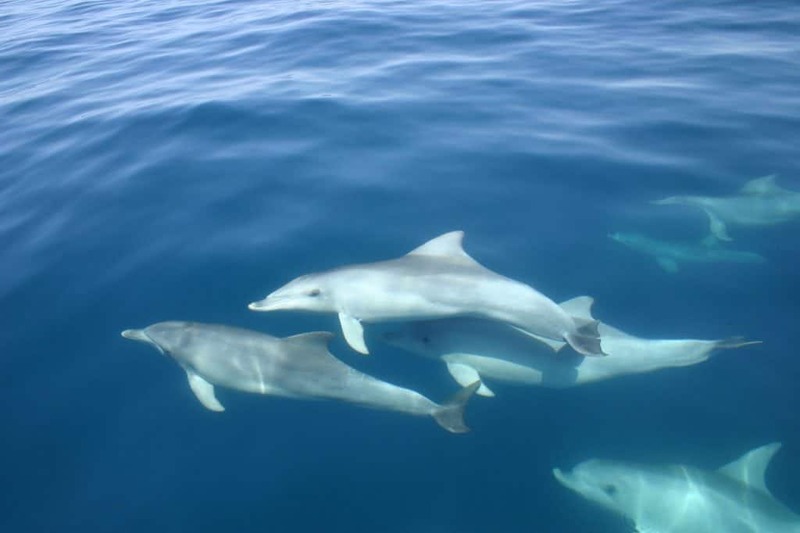 To get around this, dolphins only allow one half of their brains to sleep at a time; the other half stays alert to enable the dolphin to continue breathing and look out for dangers in the environment. Dolphins only close one eye when they sleep; the left eye will be closed when the right half of the brain sleeps, and vice versa. This type of sleep is known as unihemispheric sleep as only one brain hemisphere sleeps at a time. Dolphins alternate which half of the brain is sleeping periodically so that they can get the rest they need without ever losing consciousness. When sleeping, dolphins often rest motionless at the surface of the water, breathing regularly or they may swim very slowly and steadily, close to the surface. In shallow water, dolphins sometimes sleep on the seabed rising regularly to the surface to breath.